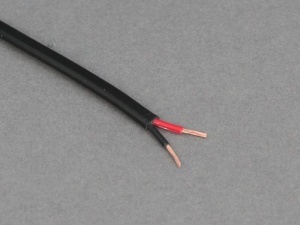 Multi-core, flat-twin cable consisting of 2 cores of thin wall cable with a PVC sheath. Suitable for auto, marine and other low voltage applications. Great product and exactly as described. Good service from 12 Volt Planet too. Excellent price,ideal for purpose, speedy delivery. Tried a remote control ,for the Flapper,that was no good, then thought (wire) at a decent range, worked perfectly and not too heavy to carry, Sorry this will only make sense to a few people,..